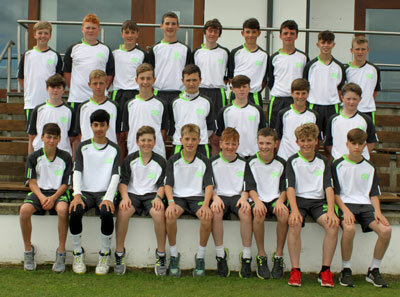 The Cricket Ireland U13 Cubs squad named today is dominated by players from the Leinster and NCU areas. CSNI and Instonians have three players each selected, while there are one each from Waringstown and Templepatrick. In the LCU, there are no fewer than seven clubs represented, with two from YMCA, and one apiece from The Hills, North County, Phoenix, Adamstown, Pembroke, and Clontarf. Callum Atkinson, Head Coach of the Cubs, said: "The coaching team (Callum Atkinson, Barry Scott and Robert Forrest) are excited for another year of the Cubs. "The Cubs programme is the initial stage of the Cricket Ireland development pathway where we focus on the fundamental basics and build on this with the development of enhanced skills throughout the programme. “We are pleased with the progress last year’s Cubs squad made during their regional union sessions and at our National Weekends in North County and Bready. We hope to see many of the players continue to develop and push for places in the Ireland Under-15's squad. "We are also enthused by this next group of players who will enter the Cubs programme and hope that they benefit from working together and challenging each other in the Cubs environment."